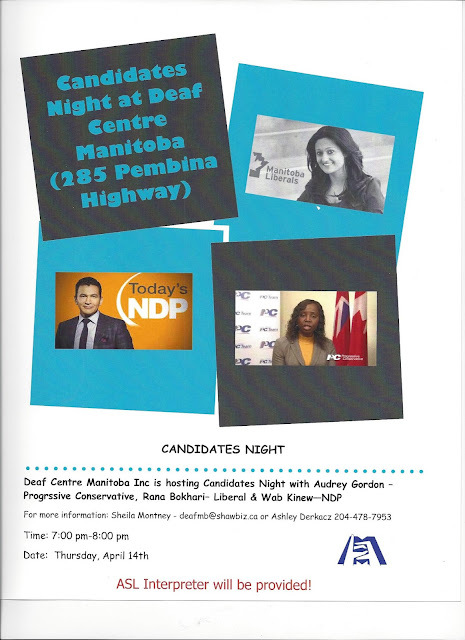 Deaf Centre Manitoba Inc.: Friendly reminder -Fort Rouge Candidates Night at Deaf Centre Manitoba -TONIGHT!! Friendly reminder -Fort Rouge Candidates Night at Deaf Centre Manitoba -TONIGHT! !